Ultra Advanced Parametric Tester. Enables semiconductor manufacturers to dramatically reduce test time for capacitance measurements and DC measurements in high-volume semiconductor wafer manufacturing processes. 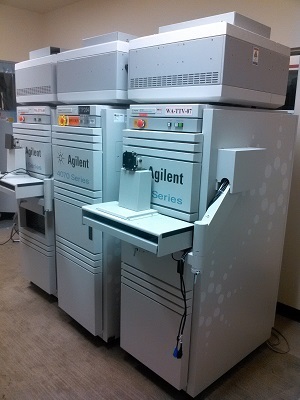 It offers up to 40 percent higher throughput than the 4073A or 4072A. The 4072B is a flexible test solution. It performs precise DC measurements, capacitance measurements, flash memory cell testing, and testing of other high-frequency applications. BRL Test's parametric tester tecnicians are the best of the best. Their sole focus is paramtric testers. Enjoy onsite installation. Bam! You're up and running! No headaches. Big savings. Wouldn't you like that? Our parametric tester tecnicians have dozens of years of experience repairing 4072B's. They have developed proprietary stress test software that can find hidden flaws in the pin card relays. Nobody in the world has this software. This is just one example of how they are the best. Do you have E3121-66511cards that need repair? Call us for fast and affordable 4072B repairs at 407-682-4228. We are your complete calibration solution too.